JB Ignite - combines electronic component sales and calendar Hikashop JCAL Pro. 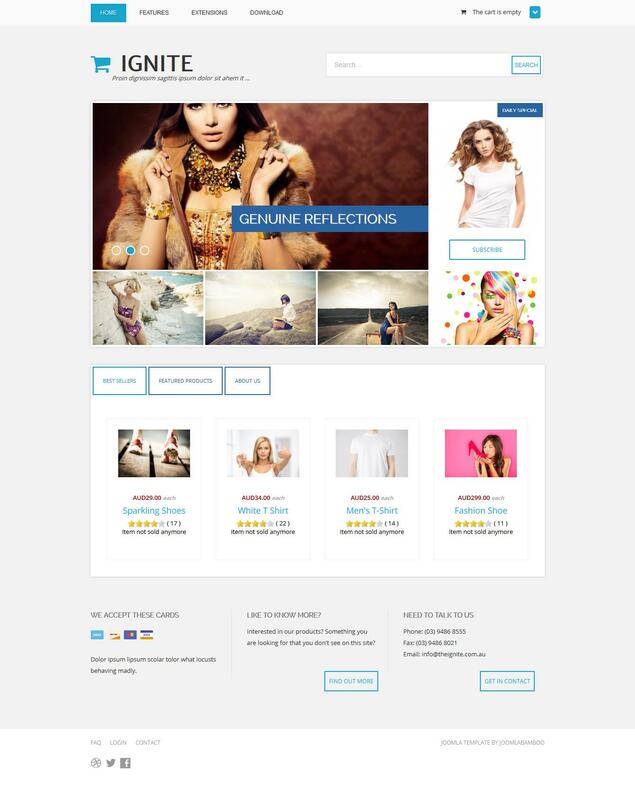 By using this template, you can easily create an online store, a magazine or even a blog with an adaptive design. For years, the existing components and Hikashop JCAL Pro were first used by developers in their studio JoomlaBamboo templates, by the way, quite successfully. Affordable and udobmny template online store together with the calendar gives the ability to easily build online sales, for example, seasonal goods, or simply keep your blog or online magazine. In the template will look smart and stylish not only news or interesting information, but also goods. JB Ignite with fresh adaptive design can improve the level of quality of your site.